Leaving South Dakota behind and heading south, we come upon the state of Nebraska. Nebraska has no National Parks within its boundaries, but does have two interesting National Monuments in its western reaches. National Parks as well as National Monuments are both administered by the Department of Interior and have similar oversight and protection regulations. Where the two entities diverge is in their overall mission and purpose. National Parks are generally larger and have scenic and recreational qualities as their main focus. National Monuments are usually smaller and are there to protect something of historic, or prehistoric value. In the case of the Nebraska National Monuments, one is mostly historic, and the other is mostly prehistoric. Let’s begin with the prehistoric. Agate Fossil Beds National Monument sits in the wide open, butte speckled expanse of northwestern Nebraska. The monument is about 12,000 acres of native prairie with two signature buttes rising high above the swaying bluestem grasses. The main purpose of the monument is to protect a collection of rare Miocene fossils that were discovered initially by Native Americans, and later by European homesteaders. The fossils include ancient horses, a smaller rhino-relative called the menoceras, and the flagship fossil (if I may) is the palaeocastor – a beaver-like creature which dug elaborate corkscrew-shaped burrows. (Its water loving descendants would later take part in the history of the National Monument 50 miles to the south). 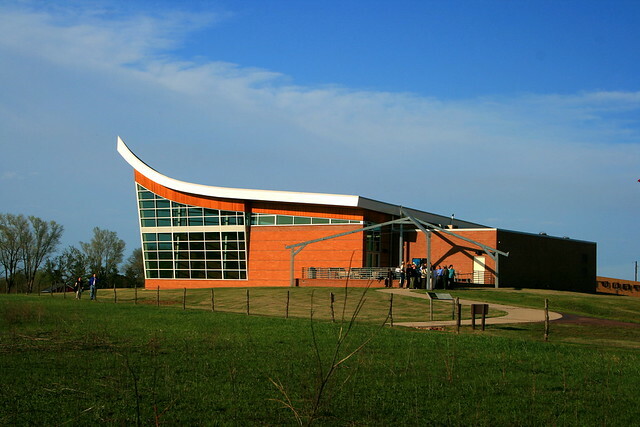 There are two short trails that lead to some of these findings as well as a visitor center which houses Native American artifacts. It’s a fine place to wile away a few hours on the Great Plains. The historic and better known National Monument in Nebraska is Scotts Bluff National Monument. It sits on the outskirts of the town of Scottsbluff, the largest city in the western panhandle of the state. The monument consists of a series of high buttes that tower over the North Platte River valley some 800 feet. They were named after a fur trapper (usually beaver pelts) from the 1820s named Hiram Scott, who died near there on a journey eastward from the summer Mountain Man Rendezvous of 1828. The buttes are big enough to see from many miles away and therefore served as important landmarks and milestones for travelers in the region. The trails of the monument climb the the heights of the bluffs and offer spectacular views of the valley below. Interestingly, Scotts Bluff is home to a portion of The Oregon Trail, The California Trail, and The Pony Express Trail. 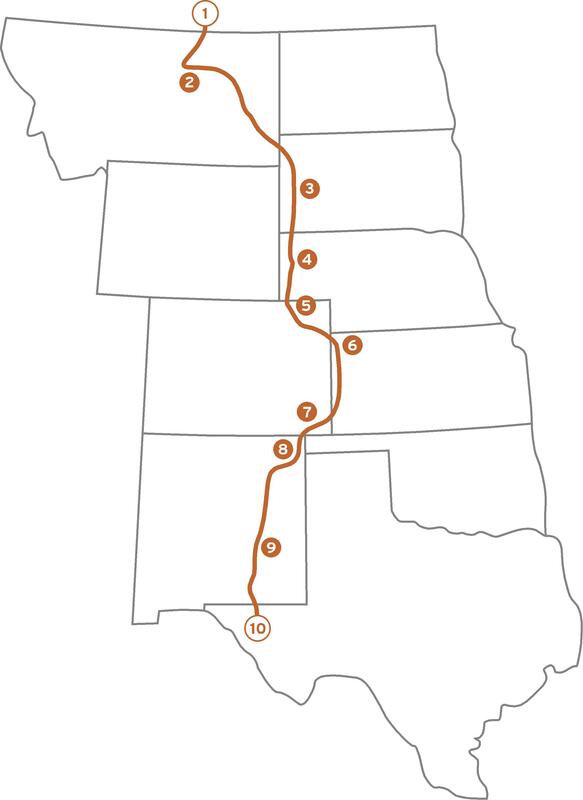 There’s just one more to add: The Great Plains Trail! This entry was posted in Uncategorized and tagged agate fossil beds, agate fossil beds national monument, california trail, hiram scott, miocene fossils, native american artifacts, nebraska, oregon trail, pony express trail, scotts bluff national monument, scottsbluff nebraska. Bookmark the permalink. It’s in eastern Nebraska and off the GPT, but I can’t resist a plug for Homestead National Monument of America. It’s the location of (maybe) the first homesteader under the Homestead Act of 1862. They have a new visitor center, and they’ve updated the stories as well as the building. Be sure to see the film, which uses dozens of voices instead of a single narrator. Way back in the 1930s, HNMA decided to preserve the site as tallgrass prairie instead of preserving it as a working farm. So it very much fits our Great Plains theme! Thanks Bob. I’m due to check that out on my next trip back to Minnesota. Sounds great!